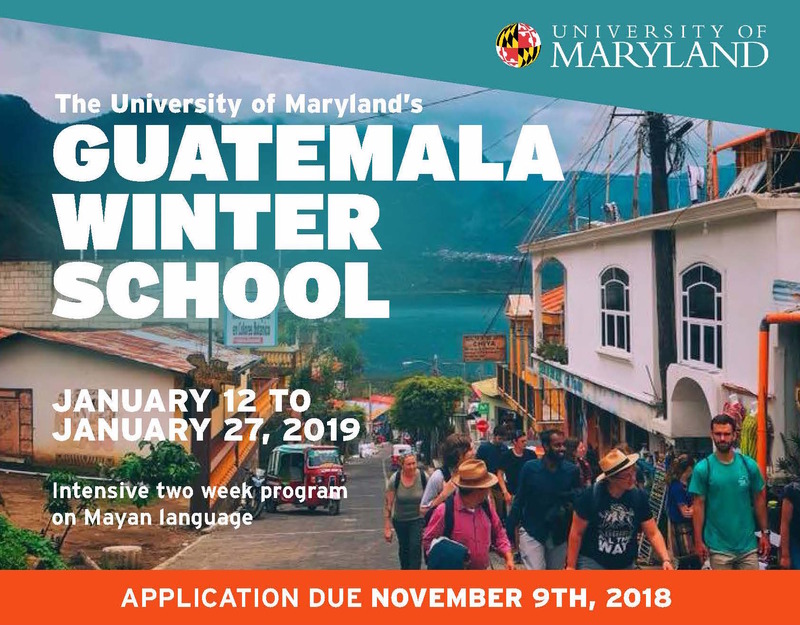 The Guatemala Field Station is pleased to offer our first ever two-week Winter School for Kaqchikel. Program Cost: $1,300 (reduced program fees may be available for local (Guatemalan) participants and NGO volunteers.) Please contact us at lsc@umd.edu. Located at the University of Maryland Language Science Center’s (LSC) Guatemala Field Station in Patzún, Guatemala. LSC & local field school staff will provide preparatory and on-the-ground support for the trip including suggested readings, a detailed handbook, and pre-departure orientation. Experienced local instructors teach a two-week immersion class in Kaqchikel for Field School participants. Instructors provide one-on-one assistance and customized language learning materials. Students take a weekend excursion (Lake Atitlán, Antigua or Volcano Pacaya). Regular group meetings held to foster collaboration and support. Students stay with local families to experience daily life and immerse themselves in the language and culture. The program fee is $1,300 for this program. Reduced program fees are available for local (Guatemalan) participants. Please contact us before you apply to confirm if you are eligible for a reduced program fee. Participants must purchase their own flight to and from Guatemala City (GUA) and their own international health insurance. The program fee includes: in-country ground travel, wireless USB modem, accommodations (home stay & meals), Kaqchikel language school, classroom materials and books, academic & administrative support, and one weekend excursion. $150 deposit is due in December 2018 to hold your space in the program (the deposit will be counted towards your final program fee). Complete our online application HERE. Applications are due, Friday, November 9, 2018.